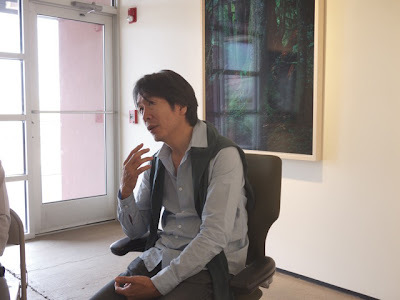 Earlier this summer a few of us at photo-eye had the privilege of interviewing internationally renowned photographer Yoshihiko Ueda during the opening weekend of his exhibition at the TAI Gallery. 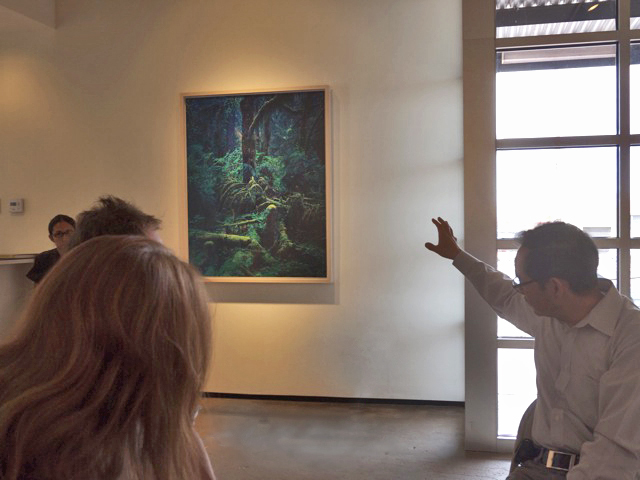 Ueda was exhibiting work from his Quinault series, the first exhibition of this work in the United States. The book of this work, published by Seigensha, is collectively one of our favorite books here at photo-eye. We want to thank TAI Gallery for inviting us into their space for this two-hour conversation between Yoshihiko Ueda, Koichiro Okada (translator), Rixon Reed, Melanie McWhorter and Antone Dolezal. Rixon Reed: So you’ve published a number of books -- portrait books, a book of architecture – I think your first book was the collection of a museum in Japan – Chamber of Curiosities. Yoshihiko Ueda: The book that you just mentioned was the one before this book. The very first book I published was this collection of photos of artists. The title is ArT RANDOM. It’s a series of 100 books that mine was apart of. RR: And that was published how many years ago? RR: So all together you’ve published 7 or 8 books? YU: 10 or 11? I can’t be sure but between 10-12 – somewhere around there. Melanie McWhorter: What was your role in the book making process? Do you act as editor, did you choose your publisher? YU: I do my own editing and I also work very closely with the publisher of the book. Antone Dolezal: Among those 10 or 12 books that you’ve published so far, are there any that you feel are unique? Are there books that you had more control over? YU: Recent books, like for instance, this one, At Home, this I feel reflects my own uniqueness. I am quite satisfied with the recent books. MM: Yeah, they are more like a diary or an album. YU: Yes, that’s exactly right – it is like a diary. MM: Amagatsu, [which contains 14 expansive gatefolds, some of which open to over 6 feet in length] – you chose to do the folds in there? Was that your design? YU: While I was doing the shooting, my intention was to figure out how to put Usio Amagatsu’s body into book format – while I was doing the photo-shoot I was already thinking about the fold to capture his body into the book format – so it was indeed my idea. MM: And this was a photo shoot? Or did you have a relationship with Amagatsu and Butoh before that point? I understand that he’s a very important figure in contemporary Butoh. YU: Prior to this book project Amagatsu approached me to make a poster of Butoh dancing. So we did the poster project first and I got to know him. While I was doing the first photo shoot and making the poster, both Amagatsu and I felt that we wanted to do more than the poster, we both wanted to do series of photos. So after the first project was over, there was a designer named Mr. Yamagata who designed the Amagatsu book – both Amagatsu and I -- almost at the same time -- called Mr. Yamagata and both expressed the desire to do more. That was the night of the same day we did our first shoot. The mutual desire was there as soon as we met. MM: Was the book received well in Japan? Did it sell well? YU: It received a good reception but I don’t think it was a bestseller or anything like that. AD: There’s an obvious found connection with your subject in Amagatsu, and from my understanding, there was an obvious connection that you made when you were photographing Quinault -- you were on assignment and had come into the forest of Quinault and then it found you. 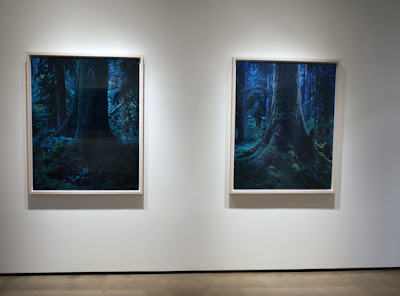 The photographs are beautifully haunting and it seems that you did find a very deep connection to the land. Can you talk about that connection that you had with those images? YU: As you said, originally when I went to the area I was on a different assignment. At that time, most of the photo work I did was at the studio, doing portraits of well-known people, stuff like that – so I had all the control that I could have. 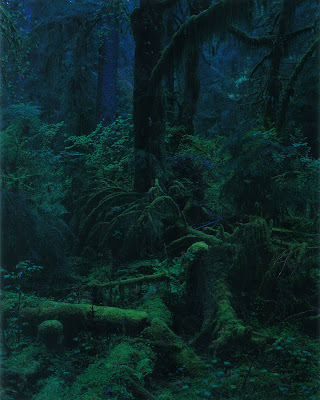 When I went to this area, my intention was not really taking photos of rainforests, however, while I was moving with my 8x10 cameras I was naturally just looking for something that takes my interest. When I walked into the forest I felt something – something that I cannot really explain – some kind of energy or something asking me to stop. At the corner of my eye I caught a bit of the scenery and I turned my head and there I saw this tree. This particular tree [points] is the very first photo I took in this rainforest. And at that time that was the only photo I took on that particular trip. While I was on that trip it was almost if that tree was asking me – telling me – stop and take a picture of me. It was almost like a voice that I heard. So I took it. I was so interested to see how that picture would turn out. That evening I asked the local staff to develop the film immediately so that I could see what I shot. When the film got back to me I was really surprised because it was nothing I had ever seen before up to that time, not just in all the photos I had taken in the past but also all the photos I had seen taken by other people. I felt that this was very unique. After I went back to Japan and printed this image, periodically I’d look at this print and for a year or so think, “Where does this photo belong?” There are so many categories for photos, like landscapes or stuff like that, so many categories of themes. Yes, it’s a nature photo, but I didn’t feel like it belonged to the other landscapes this particular photo really doesn’t have any categorical framework. After thinking through it, I felt that I had to go back to this area. After thinking through the categories I came up with, I realized that this was really a portrait of a tree.When I went back to the area, the Olympic National Forest, I was wondering if I could once again have the same experience of when I took this first photo. I was walking inside of the forest and I was looking for this exact same experience that the tree gave me for this first shot and when I’d get that feeling or energy I’d take a number of photos. Then the very last photo that I took was that image right there [points]. That concluded the series. And when I took that particular photo, I felt that the experience I had taking this last photo exceeded the experience I had the first time – I felt that I could be finished now. So I ended the series with that image. I felt inner joy – now I can complete this project – there was a sense of satisfaction. MM: You’re lucky. Not many people get that! YU: When I approached this area there were many trees and just a small space in between the trees. I saw something, so I came close and found this area – it was as if this tree or area was saying “Uh-oh – you found me.” [Laughter] It was as if it was the first time ever that a human being had ever found this tree. That was the kind of sensation I felt -- the virginity of the place. Two experiences throughout the project, the very first time I took this photo and the last time I took this photo, I was almost shaken because of all of the sensations I felt within me. AD: How long did you work on this project? YU: About two years. Conceptually it took about two years, but the actual photo-taking was the first one, one day, and then second time I went back to the area I spent about two weeks walking inside of the forest and took a series of photos. RR: And what was the time different between the first photograph and the second tree? YU: Over a year between those two. RR: So you really meditated on it for a matter of months. YU: I really wanted to go back but I couldn’t, so I was a little bit frustrated. AD: When you returned to the land, were you hoping you still felt the same way as when you took the first photograph? MM: -- like a long distance relationship. MM: I had a question about the introduction to the Quinault book.There a mention of a man’s name – Gary Haynes. But he’s not identified – I think it says he met you at the airport. I was just curious as to who he was. YU: He was the location coordinator. RR: Did you have an assistant with you? 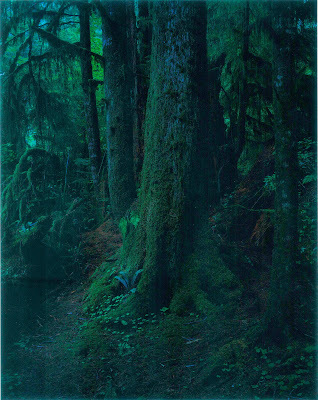 RR: So it was not a solitary event, going into the forest and photographing. You had an assistant with you the entire time. YU: Actually three. Gary Haynes was also with me. Gary Haynes and his knife. He was a protector in case a wild animal came! Read Part 2 of our interview with Yoshihiko Ueda here.